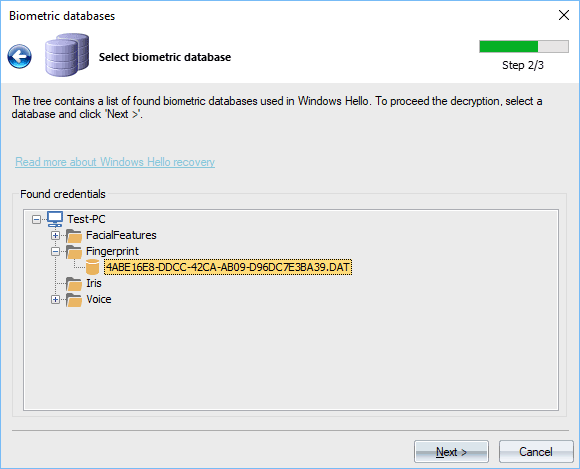 Biometric databases contain digital identities used to authenticate a certain user in Windows Hello system. Those identities are fingerprints, 3d-faces, voice or iris. 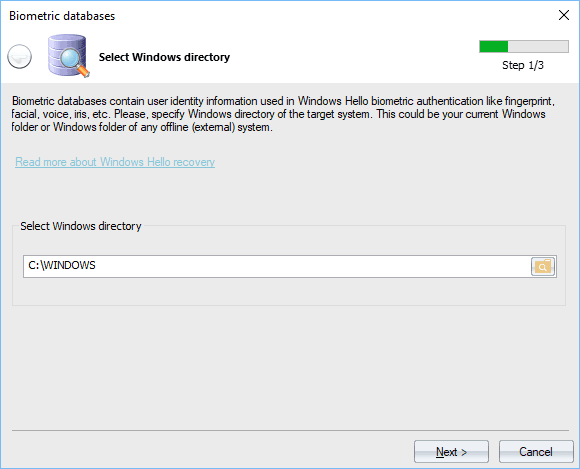 You should set the Windows directory of the target system first. This could be the Windows directory of your current or of any external operating system. To decrypt a database, just double-click it in the list. The decrypted database contains found and decrypted digital identities, like fingerprints, 3d-faces, etc. For example, if a user has set 3 fingerprints previously, the fingerprints should be decrypted and outputted right of the user's name. Just like in the picture above. Despite the Microsoft assertion of extremely security, the digital IDs are badly protected against substitution (unless a TPM device is used) and can be easily migrated or copied from one PC to another. 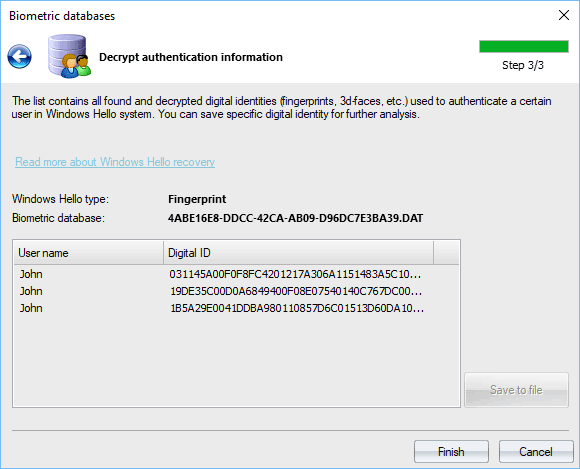 For example, you can create your own fingerprint, copy it to another PC into another user account. Then you can simply logon into the alien account using your own fingerprint. Because of the serious nature of this vulnerability that compromises the whole system security, the digital IDs migrating function was disabled in the current version of the program.